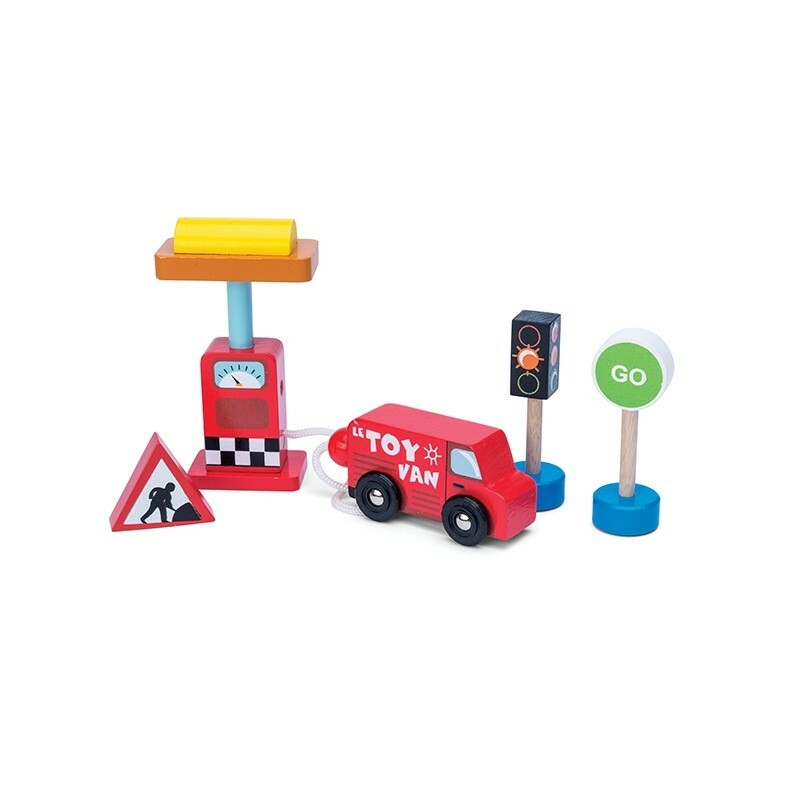 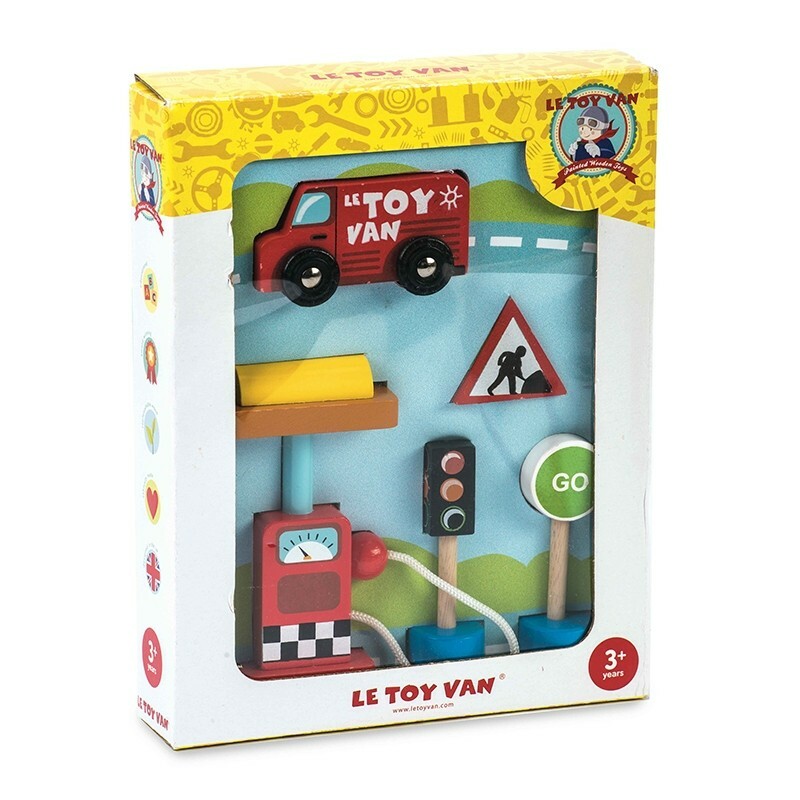 A comprehensive set including a petrol pump, a car, a 4 sided light sign, a "stop & go" sign and a road work sign. 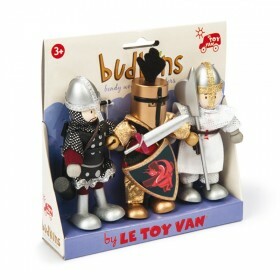 Packaged in a gift window box. 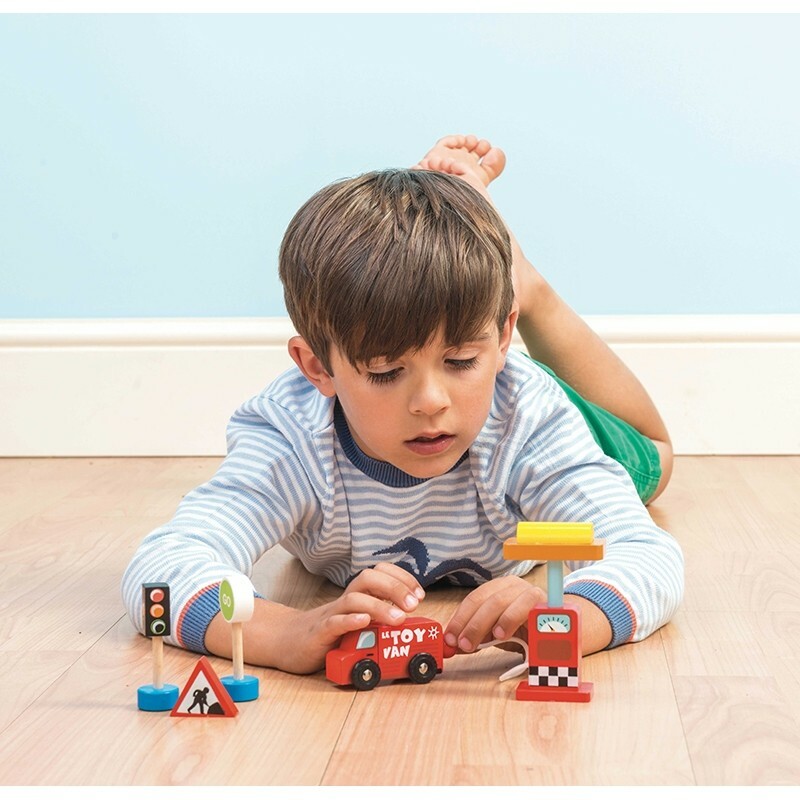 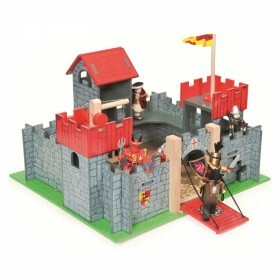 Train track compatibleScaled to Le Toy Van play mats and garages.